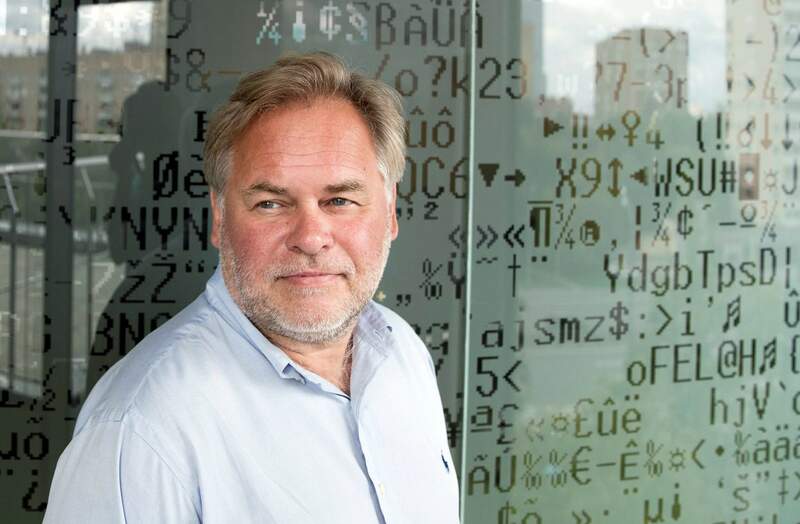 Eugene Kaspersky, the Russian antivirus programs developer and chief executive of Russia’s Kaspersky Lab, stands in front of a window decorated with programming code’s symbols at his company’s headquarters in Moscow, Russia. A top homeland security official says computer systems at 15 percent of U.S. government agencies were running Kaspersky Lab software that’s been banned because of concerns about the company’s ties to the Kremlin and Russian spy operations. WASHINGTON – Computer systems at 15 percent of U.S. government agencies were running Kaspersky Lab software that’s been banned because of concerns about the company’s ties to the Kremlin and Russian spy operations, a top Homeland Security Department official told Congress on Tuesday. “Out of all the federal agencies, a small number have identified the use or presence, in some aspect of their systems, of Kaspersky-branded products – about 15 percent of agencies that have reported,” she said. Kaspersky has repeatedly insisted that it does not have unethical ties or affiliations with any government, including Russia’s. The company has stated that it has never helped any government in the world with its cyberespionage or offensive cyber efforts. The DHS directive provided Kaspersky an opportunity to respond or mitigate the department’s concerns. The department gave the company a one-week extension to the Nov. 3 deadline. It received a “significant” response on Friday, Manfra said, adding that it was being reviewed by department lawyers. The chief executive of the software company, Eugene Kaspersky, is a mathematical engineer who attended a KGB-sponsored school and once worked for the Defense Ministry. His critics say it’s unlikely that his company could operate independently in Russia, where the economy is dominated by state-owned companies and the power of spy agencies has expanded dramatically under President Vladimir Putin. “No” was the reply given by then-acting FBI Director Andrew McCabe, CIA Director Mike Pompeo, National Intelligence Director Dan Coats, National Security Agency Director Adm. Mike Rogers, National Geospatial-Intelligence Agency Director Robert Cardillo and then-Defense Intelligence Agency Director Lt. Gen. Vincent Stewart.